Are you broadcasting a video for the first time? Wondering which file format is the best and most compatible with all devices for streaming video hosting? With all of the available options, it can be challenging to decide which file format works best. And that’s where we come in! At DaCast, we recommend MP4 video hosting via your DaCast account. With MP4 video hosting, you can offer your viewers an almost universally-supported file format across all devices. In this article, we’ll introduce you to MP4 video hosting on your own website. We’ll walk you through how to do so through your DaCast account specifically. 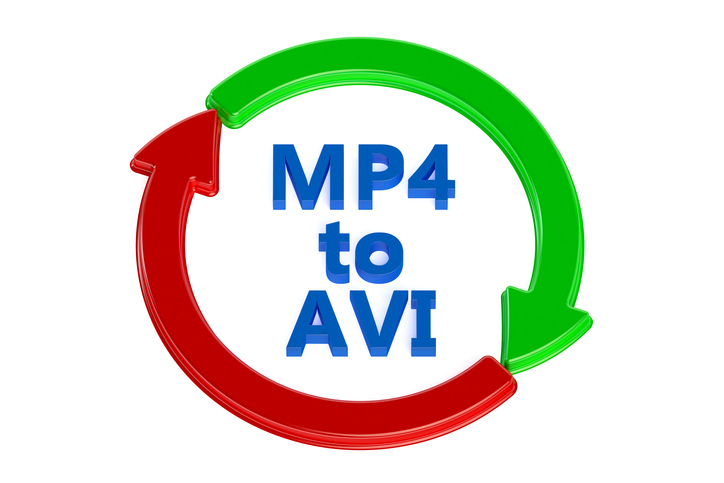 We’ll also cover how to convert video files to do MP4 video hosting. Our goal with this article is to help you feel fully empowered to do successful MP4 video hosting on your website. In recent years, MP4 has become the preferred format for video. But what exactly is MP4, and why is MP4 video hosting so popular today? MP4, or MPEG-4 Part 14, is a file container format developed by the Moving Pictures Expert Group (MPEG). The format can contain multiple kinds of data. These can include audio, video and text in a single file using different data streams. MP4 files can also store advanced content such as 3D graphics, menus and other interactive features. Because the MP4 format can contain many different data streams, it is widely regarded as the most versatile format. As mentioned above, MP4 video hosting is generally universally supported in all aspects. In particular, MP4 files are compatible with most mobile devices and all operating systems. Why is this important when doing MP4 video hosting on your website? You don’t need to worry about incompatibility with your potential viewers’ devices and the file format. With MP4 video hosting, you are guaranteeing that the greater number of possible viewers can access your stream! 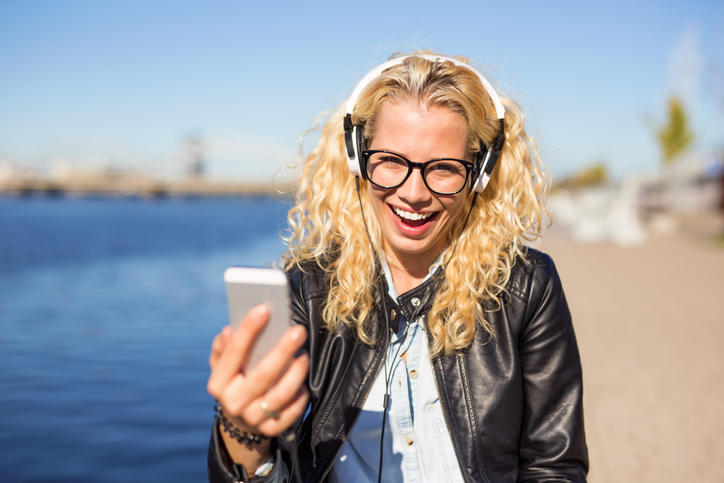 When you upload MP4 videos via the DaCast streaming service, you don’t need to worry about transcoding into multiple formats. Our “Auto Encode” option takes care of all that behind the scenes. 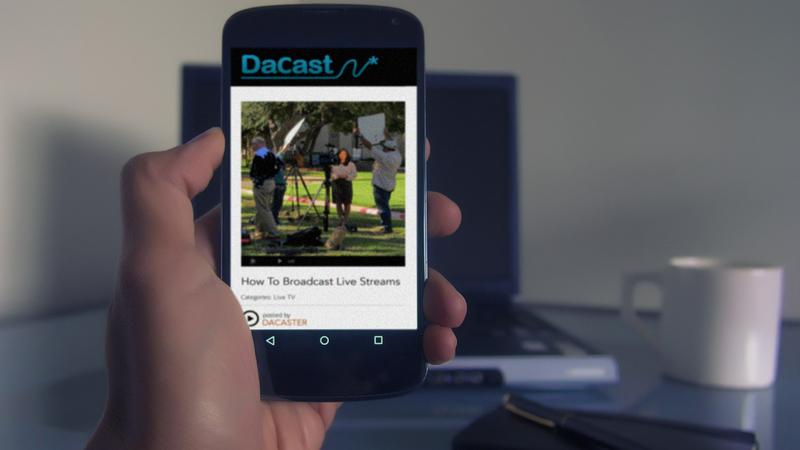 The DaCast platform automatically transcodes your videos for full compatibility with most devices. low bandwidth requirement makes sharing on social media easier and faster. DaCast makes it easy for you to do MP4 video hosting on your website. Our in-platform video file uploader is optimized for that format. You can manage our “PC Uploader” from your browser. This in-platform uploader allows you to quickly upload files to your account. You can upload many diverse file types, including MOV, AVI, FLV, MPG and MLV. The main advantage of MP4 over other file types is its compatibility over the widest range of devices. If you choose to upload another file format, DaCast transcodes it to become fully compatible with all devices. Below are the steps to follow for doing MP4 video hosting on your website. 1. Sign into your DaCast account. Click the Upload Files button found on the front page under the Videos On-Demand pane. 2. Click the Add Files button. Select your video file from your hard drive. You can add up to 3 files to upload at the same time. After selecting the file, you can access a preview only for MP4 files. Before clicking the Start button, you can choose to either Auto Encode (default) or Raw Upload. The Auto Encode option automatically transcodes the file to make it compatible on all devices. Alternatively, he Raw Upload preserves the original video playback settings and is much faster to upload. 3. Click the Start button after choosing which encoding method you prefer. From here, our platform encodes the video and uploads it to our servers. The time it takes to transcode and upload will depend on the file size. Once the upload reaches 100%, you can simply close the window. At that point, the video will appear in the “Video On Demand” tab. 4. Click the Done button to exit the PC Uploader. You can now manage the file on the Videos On-Demand section. 5. After uploading the MP4 video on our server, you can select different settings and bitrates for your video. The DaCast multi-bitrate feature supports 1080p, 720p, 576p, 480p and 240p resolutions with comparable bitrate quality. For more information on this feature, check out our article on how to do multi-bitrate streaming. To select different bitrates, select your video file and go to the Multi-bitrate tab. From there you can add the bitrates you want and DaCast will encode the file for you. 6. When you finish with the video settings, you are ready to embed and do MP4 video hosting on your website! You can also embed the file on Facebook or Twitter using the share codes. After selecting the code, just paste it on your website code page. Once you do so, the MP4 video will play on the DaCast embedded player. If you need to convert your video to MP4, there are a number of converters available on the internet. As we describe above, you can opt to automatically transcode through the DaCast in-platform uploader. If you prefer to convert videos on your own, however, below is a list of converters. This is a powerful transcoder and converter that caters to both beginners and advanced users. It’s free, open-source and cross-platform. You can use it to rip DVDs too. A completely free converter for both Mac and Windows, this video converter also works as an editor and player. You can use it to organize and manage your video files as well. This is a Windows-only converter that can support over 200 file formats. It’s one of the most versatile converters you can use as it also comes with preset settings for iOS and Android devices. You can even use it to rip online videos from YouTube into mp3. If you know of other useful converters you’ve used successfully, let us know in the comments! Video technology evolves constantly, meaning there are new developments coming each day. If you want to offer your viewers the best quality and most compatible video files, MP4 video hosting is your best bet! MP4 video files are the most versatile and fastest video format available today. Use it to do fast and easy MP4 video hosting on your website via your DaCast account. So what do you think? Do you have further questions, or related topics you’d like us to address in future articles? Let us know if the comment section below, and we’ll get back to you as soon as we can. We love to hear from our readers, and we appreciate your insights and feedback. For regular tips on live streaming and exclusive offers, we also invite you to join our LinkedIn group. For more details on plans and costs, you can review our live streaming pricing plans If you’re considering giving the DaCast streaming platform a try, why not take advantage of our 30-day free trial (no credit card required)? That way, you can test out all our great features for yourself before committing to a plan. To start streaming today, just click the button below!